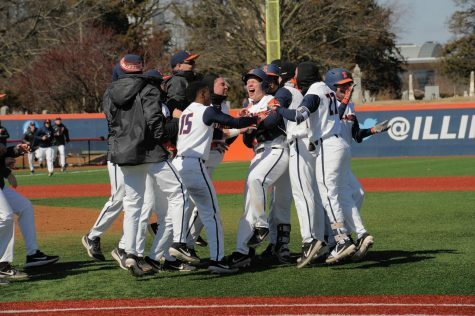 With spring break in full effect and students away from campus, the Illinois baseball team followed suit, taking a short two-game road trip to play at St. Louis University. The series’ first game on March 19 saw the first career start by freshman Aidan Maldonado. The 2018 MLB Draft selection by the Milwaukee Brewers had only pitched out of the bullpen for Illinois prior to the game and admitted he had to change his approach on the mound as a starter. 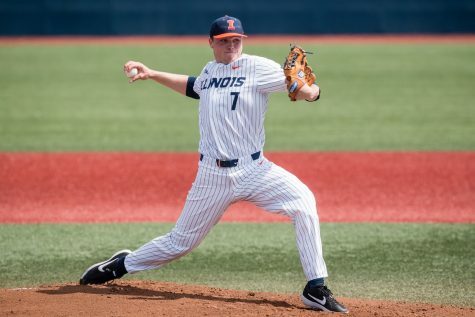 The Illini offense didn’t skip a beat with a new starter on the hill. 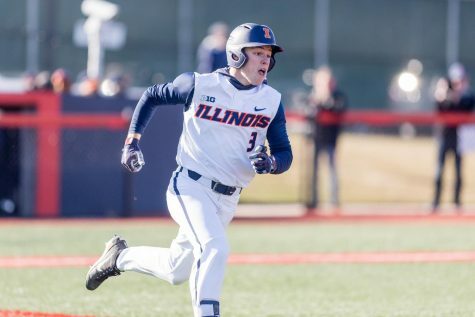 Freshman outfielder Cam McDonald and senior catcher Jeff Korte each drove in two runs as Illinois rallied from a lone run given up by Maldonado to win 4-1. 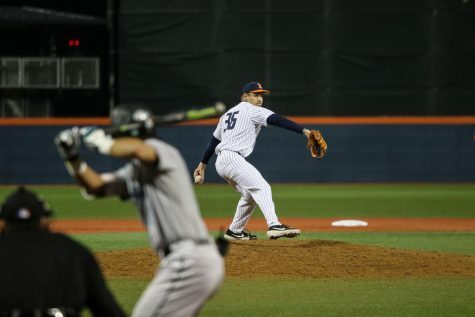 Typically coming into the game with a lead and pitching in a tie game, where one mistake can directly change the outcome, could have had an effect on Maldonado’s pitch selection, but the freshman trusted his pitches rather than let the score affect him. 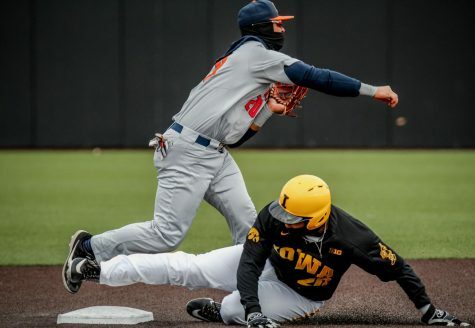 Behind Maldonado, the Illini defense made zero errors on the day and proved Maldonado could put faith in the team behind him. While only surrendering one run, Maldonado walked five batters but wasn’t afforded the weekly preparation and rhythm a starter normally gets, which he felt affected his control. Maldonado threw 65 pitches over three innings. 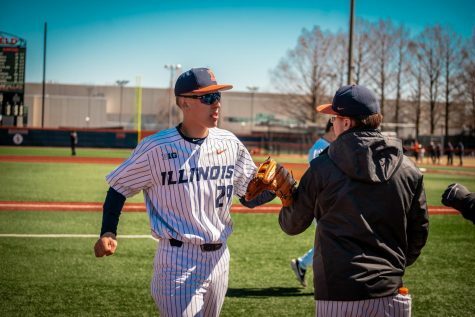 Though Maldonado left the game with his team trailing, he had faith the Illini bats would pick him up and make sure was not on the hook for the loss. In the following game the next day, the Illinois pitching staff couldn’t avoid self-inflicted wounds as St. Louis comfortably won 8-3. 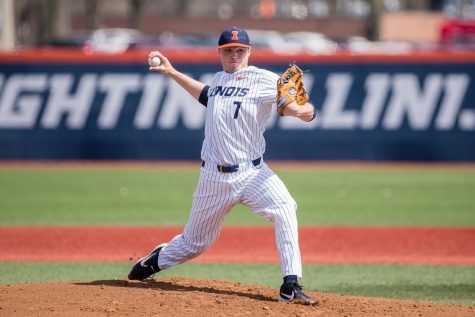 Another Illini freshman made his first start, but this time Nathan Lavender was handed. The freshman allowed two earned runs while surrendering three hits and striking out four. 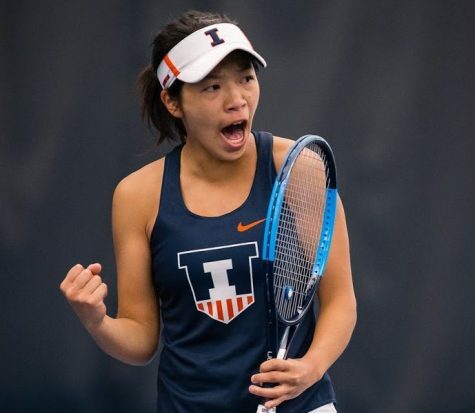 Lavender allowed two walks, and the free passes given out only continued, as the Illini would put seven Billikens on base via balls by the end of the day. 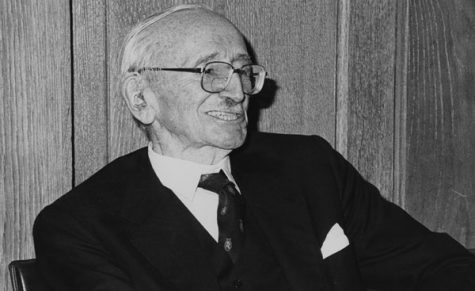 St Louis’ final four runs all came off of walks that were brought home through non-base hits — a groundout, a walk, a sac fly and a wild pitch — which Harlteb was less than thrilled with. 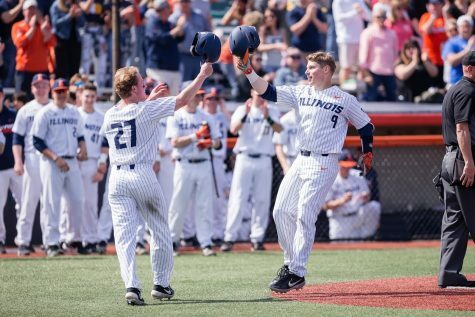 Juniors Ben Troike and Michael Massey and senior Jack Yalowitz each collected an RBI in the losing effort, as the Illini outhit the Billikens 10-8, further proving the damage of the walks given up. 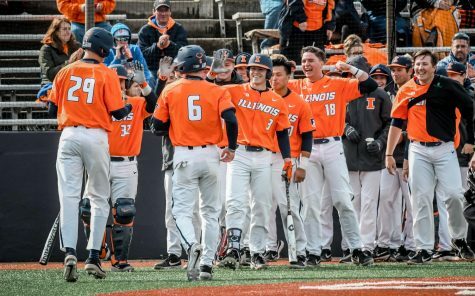 Illinois can’t dwell on the loss for too long as Illinois State comes to Champaign for a three-game series from March 22-24. 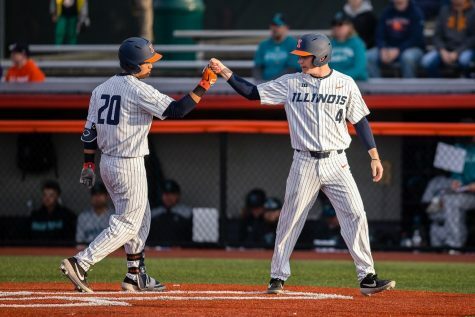 With Big Ten play on the horizon, the 14-4 Illini are continuing to manufacture hits and could be a contender to win the conference if the pitching staff can limit putting batters on base free of charge.